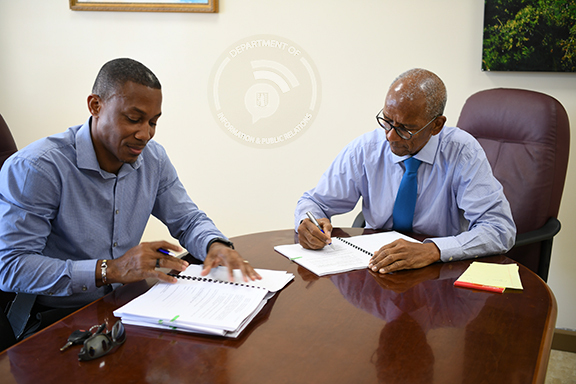 Premier and Minister of Finance, Dr. the Honourable D. Orlando Smith, OBE signed a contract for consultancy services with Trojan Designs & Development Ltd. for design and construction management of several Government buildings which were destroyed by Hurricane Irma. The contract was signed on November 30 to the tune of three hundred twenty three thousand, three hundred fifty dollars ($323,350.00). Director of Projects, Dr. Drexel Glasgow said the purpose of the consulting assignment is to prepare engineering and architectural plans for the rehabilitation of buildings which housed Government services Territory-wide and suffered extensive damage from the passage of Hurricane Irma. Dr. Glasgow continued that the firm is also required to supervise the construction works which will be tendered in the second phase of the project. The following buildings are included as part of this assignment: Magistrate’s Court, John’s Hole; Attorney General’s House, Judge’s Residence 1, Judge’s Residence 2; Vanterpool Building and Flax Building, Valley and North Sound Administration Building, Virgin Gorda. Dr. Glasgow said that the consultant is required to incorporate disaster resilient and SMART features in the design and specifications to ensure that they can withstand future events. He added that the consultancy firm has already commenced the services and the timeline for the services and works to be supervised under the contract is 12 months. For more information about rehabilitation and reconstruction loan projects funded by the $65.2 million dollar Caribbean Development Bank loan visit bvi.gov.vg/rrl and follow the Government’s social media (Facebook, Twitter and Youtube) accounts: @BVIGovernment and Instagram @GISBVI and search for content using #RRL. Photo 1:2 Pictured here are the Premier and Minister of Finance, Dr. the Honourable D. Orlando Smith, OBE and Director of Projects, Dr. Drexel Glasgow signing on behalf of the Government of the Virgin Islands. 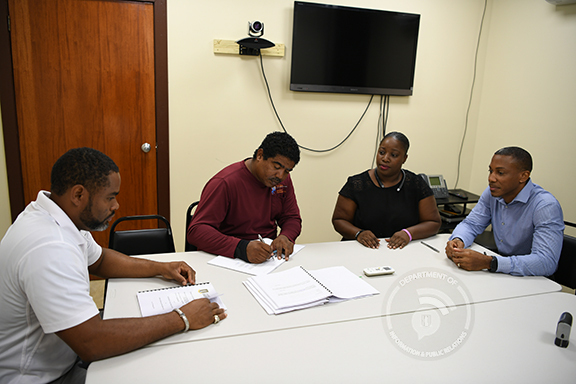 Photo 2:2 Pictured here are representatives from Trojan Designs & Development Ltd. signing the contract with Government of the Virgin Islands for the design and construction management of Government building.